Unleashed on the masses on February 1, 2006 ... 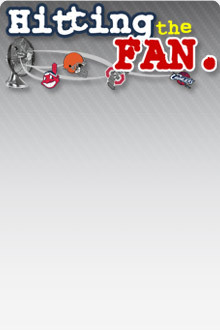 The Cleveland Fan has evolved into the most trafficked fan run Cleveland sports website in cyberspace, boasting a community of 50,000 monthly visitors strong (and growing) with over 2,000,000 page hits each month. In bringing TheClevelandFan to life, my mission statement was simple: Create an alternative to the traditional media sources and a place for Cleveland sports fans to congregate to read opinion on the teams we live and die for, and also a place for fans to have intelligent dicsussions about those teams. We're just over four years old, and in that time, we've been lucky to really grow this little thing of ours. There's been a couple keys to that growth. First and foremost, our writers. It's the #1 reason for our growth, and without these guys, we'd still be a blog on steroids, which is actually how I used to describe the site in the early days. When I started this, I was pretty sure that I could put together a group of talent that could rival some of the print and online sports media options in this town. I just didn't know I'd be able to do it this quick, and with writers this good. We have some of the best writers on the internet in guys like Steve Buffum, Brian McPeek, Gary Benz, Jesse Lamovsky, Adam Burke, Thomas Moore and Al Ciammaichella. Collectively, I'd compare my group favorably to any of the newspapers (and their affiliated websites). But I absolutely encourage our writers to call it like they see it and to hold nothing back. To write passionately, from the heart, and from the viewpoint of a fan. That's what we do and who we are. If you want the post game quotes, the copy of the box score, the emotionless and neutral account of the game ... we're not your spot. There are plenty of places to get that. If you want smart, passionate, humorous analysis of what just happpened and what it all means, we're your guys. If you want a place to vent, rejoice, or talk Cleveland sports, our message forums are the place to do it. One of my main mission statements with the site is to continue to improve the site, a little bit at a time. If it's looking for a new writer, making aesthetic improvements, or adding new features, bells, and whistles ... this is what keeps me up at night. I want nothing more than to just make this place the coolest place on the web to hang out and read and talk about Cleveland sports. I think we've done a pretty good job of that through the first three and a half years, but there is so much more we can and will do. As always, any comments, questions, complaints, suggestions on how we could do things better, please, do not hesitate to contact me by email at any time at richswerb@gmail.com.